With over 20 million jobs available in more than 60 countries, neuvoo has established itself as one of the largest sources of employment around the world. Our mission is to centralize all jobs available on the web, whether they come from companies' career websites, staffing agencies or job boards. neuvoo offers the most diverse and complete content to job seekers and our competitive model brings better results to employers in terms of ROI and brands' visibility. Summary: Created by Benjamin Philion, Lucas Martinez and Maxime Droux, the search engine started bringing jobseekers and job offers together in 2011 in Montréal. Since then, headquarters in Lausanne (Switzerland), Medellin (Colombia) and in Lille (France) have popped up. The job board exists in over 60 countries (and, consequently, in a number of languages). Currently, there are 4 692 Linkedin followers, 1 907 on Twitter and 3 396 on Facebook (which they have not updated recently), but they have no links to their media on their website. Neuvoo.ca gets 2million visits per month (which has dropped from 2.5 million) and is the 594th most active website in Canada. The neuvoo.com website gets 6.27 million visits per month from a variety of countries (and their visits have actually gone up). Design: Like most aggregators with a worldwide presence, the layout is minimalistic with a search engine (location and keywords) and some suggested popular searches taking up the whole homepage. The job offers are standardized (and there are no company pages) and the location, the sector, the publication date, the job title and a quick description of the job are visible in the job listing. The filters are relatively limited (the publication date, the source, the company, the proximity). When looking up jobs, you can choose to use the “search for job” page or “search for salary” page (which will filter the jobs by their salary and it includes a graph with salaries for some popular positions). 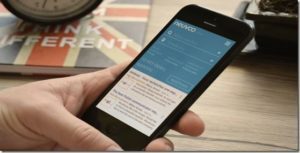 The job board objective: Neuvoo aims to be the second most visited aggregator job board. Recruiter observations: To post adverts, there is a “for employers” button at the top of the page. The website has a pay-per-click system which means you aren’t charged for adverts that never get viewed. It’s easy to create an account and an advert, but not so easy to understand how it becomes visible. Pricing is different for every country. Jobseeker observations: To apply to job offers, if you apply through neuvoo or if you are redirected to a career page, the website asks you to give an e-mail address so that they can send you similar job offers (but it is no compulsory). You don’t actually need to create an account on Neuvoo, but it doesn’t take long to do so. The job offers: There are currently 448 961 job offers in Canada on Neuvoo. The job offers come from all over the internet so you are likely to find a large variety of job offers. Reactivity: They answer relatively quickly. Special features: the taxberg (with fish and whales); the blog (in English, which they started in 2014); neuvooPedia (with information about a variety of job positions); the salary graphs; job alerts; star ratings. Verdict: Neuvoo is interesting for anyone who wants more information about salaries from all over the world. It might be a good idea to check how accurate the numbers are all the same. As for the job offers, it’s a shame the filters are so limited, but they are easy enough to look through. Login here for FREE to unlock access to the traffic audience, content and pricing section for more information on neuvoo. Really cool job agregator. One of the best I know in Canada.